Seoul, Korea Day 6 - Hongik Univ, Hello Kitty Cafe (Hongdae) | JACQSOWHAT: Food. Travel. Lifestyle. Day 6 of our trip falls on a Sunday and we planned to head to Hongik Univ as they'll be flea markets in that area during the weekends. The flea market focuses on showcasing local artists work or creative design items. Hongik University has the most well-known school of Fine Arts & Design in Korea. This is the place for youngsters & shoppers are guaranteed of finding unique items at affordable prices. 1. The Artistic Spirit of Youth - It's open every Saturday in the playground near Hongik Univ Station Exit 5, from 1-6pm between March to November. It is an art market where young artist showcase their works. 2. Hope and Art Sale - It's open every Sunday at Hongik Playground, Hongik Univ Station, Exit 5, from 2-6pm between March to November. They offer hand-made goods such as tote bags, cardigan sweaters & more. This market was created by a group of artists working near Hongik Univ. Sometimes in the night, there will be a few small concerts. Usually, local entertainers will set up their guitars/ instruments and busk in the area. Hongdae, very interesting place for the Youth! There are many street art exhibition in the area surrounding Hongik University, or 'Hongdae'. After many snapping photos of it, time for lunch! Next stop, Trick Eye Museum. It's located in the district of Hongdae, where paintings are created using 'trompe l'oeil' techniques that give each 2D art piece the illusion of being in 3D. Read here on my post to Trick Eye Museum, Seoul. Click here on my post to Trick Eye Museum, Seoul. After a day of fun in Trick Eye Museum, we went to hunt for street food while heading over to Hello Kitty Cafe which is somewhere nearby. 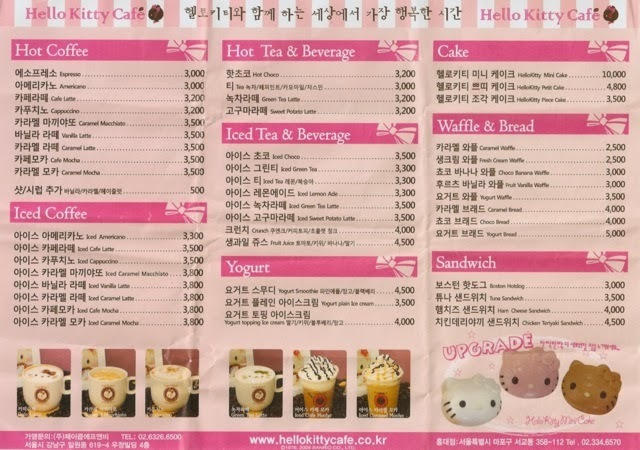 Hello Kitty Cafe (Hongdae), Seoul. If you're a fan of Hello Kitty, this is the place for you! 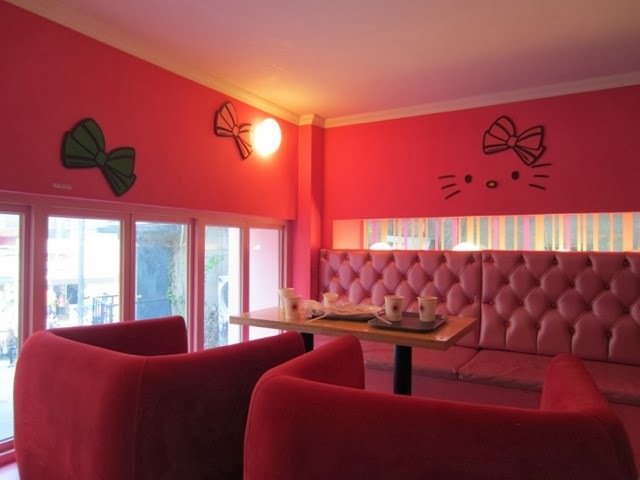 This is the 2nd Hello Kitty cafe I visited in Asia, first was Taipei. Both cafes were different in their desserts & beverages. They've menu in English, makes ordering process so much easier! I like their selection of beverages, they've special flavours such as sweet potato latte, black bean latte etc. I tried their black bean latte and it's really good! on this post. I am returning to your site for mmore soon. Glad you find it useful! Thank you! :D cheers!